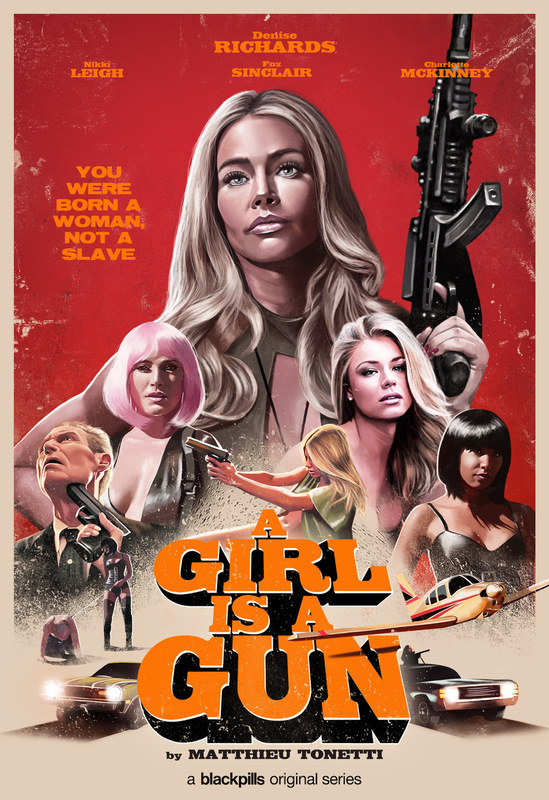 A Girl Is A Gun serie poster for the new Blackpills platform, a video-on-demand streaming service for mobile displays. All works © Flore Maquin 2015. Please do not reproduce without the expressed written consent of Flore Maquin.